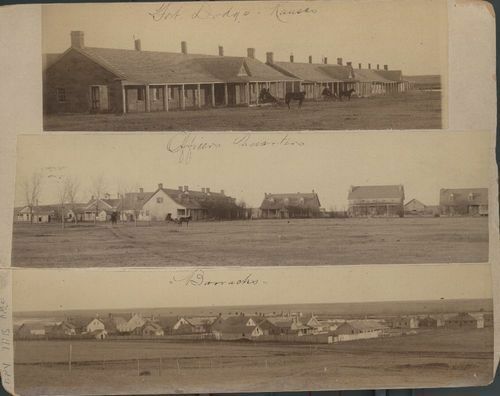 Fort Dodge established in 1865 by Captain Henry Pierce from the 11th Kansas Cavalry. Located on the left bank of the Arkansas River on the "Long Route" of the Santa Fe Trail a few miles southeast of the present Dodge City. The fort was designed to protect the U.S. mail and emigrant wagon trains on the Santa Fe Trail.